According to Eddie Hearn, its a “50-50” chance that Billy Joe Saunders gets a license to fight Demetrius Andrade on October 20th. 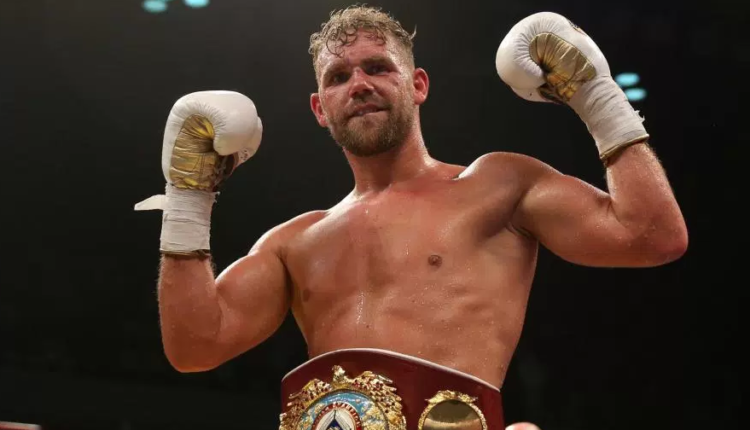 The decision comes down on Tuesday, as Saunders license will be decided by the Massachusetts State Athletic Commission on Tuesday, 11 days before Saunders is set to defend his WBO middleweight title at the TD Garden in Boston. The past few weeks have not been kind to Saunders, as the champion has been fined and punished by the British Boxing Board of Control, for his actions regarding a video of him harassing a drug addict, and has tested positive for oxilofrine, a stamina inducing aid, banned by VADA. Saunders and his team contend that it the offending drug was present in a nasal spray, and that it isn’t banned by UK Anti-Doping for use except on fight night. The worst case scenario is Saunders being denied his license and then immediately stripped of the middleweight title. If that happens Hearn confirmed that Andrade would fight for the vacant title on the scheduled date against #2 ranked challenger Walter Kautondokwo. “One-hundred percent, the show happens,” Hearn said.